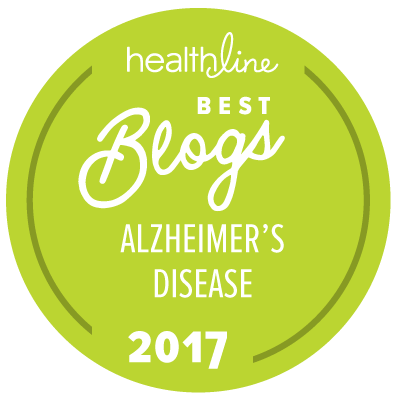 … with mixed diagnosis of symptoms from Lewy Body Dementia (LBD), Fronto-Temporal Dementia (FTD), and Parkinson’s (which he calls in this entry, Dr P). Lewy, FT and Dr P decided to drop by the other day. They brought a new guy with them, Neuropa something or other. Hope they don’t bring him back; he’s no fun at all. They all stayed several days and partied the whole time. Guess they feel like I’m a pretty good host. Those boys really know how to party; started when they got here and kept it up till they left (Dr P felt like he would stay around for awile; who am I to say NO). Said they left me some presents when they left (they always do) but didn’t tell me where they hid ’em. Found a couple, but can’t remember where they said they put ’em all (always give me a few hints when they leave; big jokers those guys). Did discover they took a few things with ’em when they left (they always do that too). Thought about reporting them to the authorities as thieves, but last time I did I was told there was nothing they could do), Right now I’m too confused to figure out what all I’m missing any way but I feel like I’ll find out in the next couple of days or so. Well, at least they’re gone for a few days. Now I can try to get clean up a bit and get ready for the next time. Didn’t say when they’d be back (never do). Hope they settle down a bit and the next party is not like this one was. 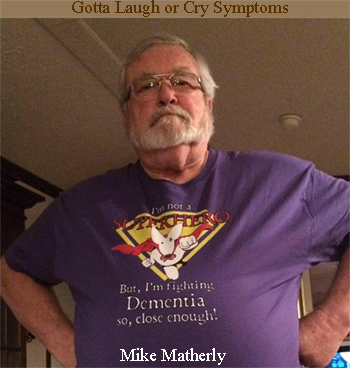 This is Mike’s first contribution, but when there are more pages from Mike, his index page is here >> https://truthfulkindness.com/index-persons-with-dementia-pwd/mike-matherly/ . * Admin issues: SHARE dementia awareness thru buttons below. Feel free to leave your thoughts in the form of comments, but please filter your comments with truthful loving kindness to all concerned. If interested in receiving notice of future blog postings, subscriptions are available through a “follow” button in the upper left corner (MS Explorer) or lower right (Safari, Mozilla Firefox and Chrome). If there is an advertisement below, I have no control over what is shown. Copyright exclusively by Mike Matherly © 2018-02/05. Tags are: coping, dementia, FTD, LBD, Mike Matherly, symptoms.